Before dusting off the barbeque from the winter season, read these safety tips! Spring is here and summer is right around the corner and this means it’s barbeque season! The sun and warm weather give way to the perfect opportunity to for a family cookout or simply enjoying a bright afternoon! Station the grill away from the house, other structures, and hanging branches or vines. Never use the grill if you notice the gas tank leaking. Keep pets and children away from the grill at all times. If you grill with propane or charcoal, these safety tips are for you! Only use charcoal starter fluid (not gasoline or other non-approved flammable liquids). When you finish grilling, allow some time for the coals to cool before disposing of the ashes. Dispense the ashes or coals in a metal container for disposal. Always check the propane tank hose for holes and cracks before using the grill. If you believe that there is a leak or you can smell gas while operating the grill, turn it off immediately and get a qualified professional to evaluate it before you use it again. If a leak doesn’t stop, immediately get everyone away from the grill and call the authorities. 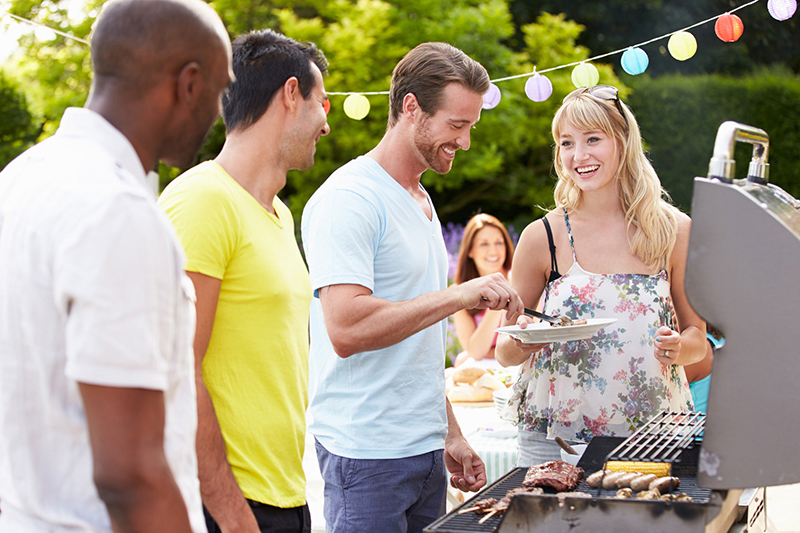 These tips ensure that you have a fun and safe time when using your backyard grill. So that your home and belongings are protected from any flames, contact the insurance professionals at Gee Schussler Insurance Agency. Our trusted experts can secure quality homeowners insurance coverage to suit your home, needs, and budget.